Last week I dreamed up a new (to me) dramatic play center. I try to change it every few months... Most recently it was a Veterinarian's Office. 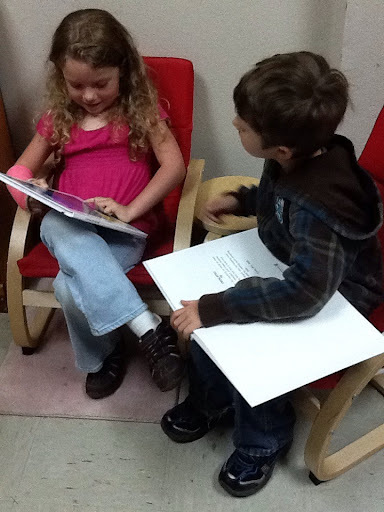 We went on a field trip to Country Pet Vet and the local Public Library- Naselle Timberland library. So it made sense to create a library next. Between the props I already had, and loans/gifts from both our school library and Timberland library, an awesome center was born. I moved the bookshelves and cozy red chairs, repurposed the kitchen furniture (the sink is the book drop), and moved the iPad shelves back there too. I added the play phones, a cash register (to pay for overdue/lost books), a wait list form for the iPads, a shelving cart, a real barcode scanner, book placeholders, library cards, and of course lots of books. When I asked the kids what else we needed in the center, they said a computer (well, duh, Mrs. Holt). I was slightly ashamed I hadn't thought of that sooner... And then I brainstormed a way to utilize Google Forms... It would be the K Library database! 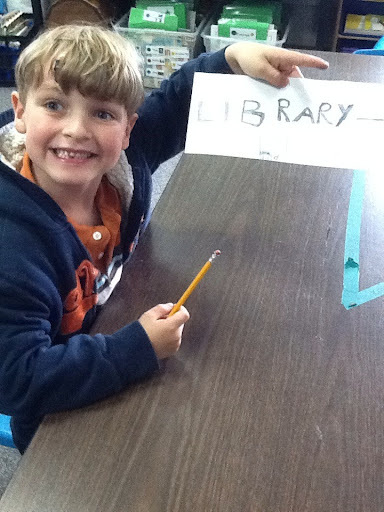 I kept it simple, librarian name, borrower name, item checked out (iPad or book or other) and time (we've been studying telling time). I put the link to my form on www.tizmos.com/kgrade . Yesterday was the first day they used the center and it's popularity surprised me! The Google Form works great, the kids had a blast, and technology was integrated on the request of the students more than me. How awesome is that? Plus, the kids are handling the check out of ipads for free play use, not me. 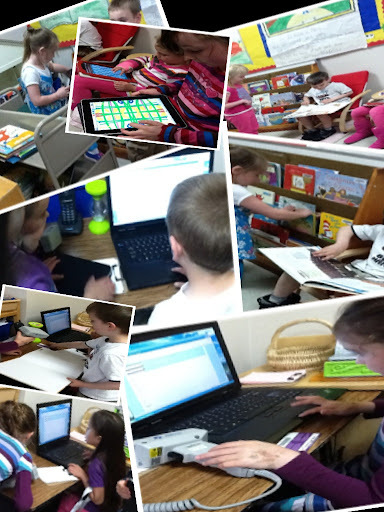 So I ask you, how can technology be incorporated into other dramatic play center themes? Two funnies to share: When my kids go to get a book to read during non-free play times, they just have to scan the barcodes. It's like they can't resist. Today one child was busy shelving books (we had reading buddies, so most books got checked out) and I overheard her saying "I am tired of putting these books away, but I have to. I need to earn more money."